Access to a large covered timber deck, equipped with a barbecue and seating arrangement - a true entertainer’s dream. A newly renovated bathroom fitted out with a antique claw foot bath and generous sized shower. You’ll be forgiven for thinking you’re momentarily at a 5-star spa! Secure backyard ideal for easy access to your car or boat and providing peace of mind for your furry mates. 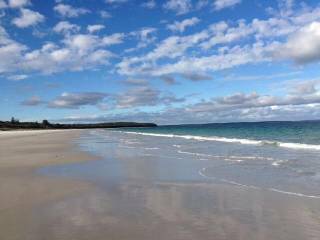 Callala Beach is quite simply a treasure in Jervis Bay. 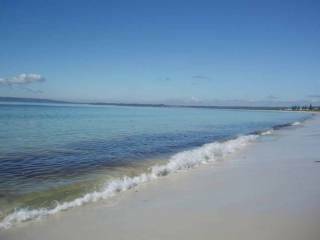 Unspoilt and beautifully calm, the beach sprawls 5.6 km long with views of Huskisson shoreline not too far out of sight. In fact, you can easily board a short ferry to Huskisson from neighbouring suburb Myola. Whether you’re a water-baby and plan on spending your time in the crystal clear beach, or trying your hand angling for the best that Jervis Bay has to offer, be sure to keep your eyes peeled for the occasional dolphin show. In true holiday style, if cooking is off the agenda, be sure to frequent the local RSL for a hearty feed or jump in the car for a 15 minute drive to Greenwell Point where the oysters and prawn farms await you. If you’re looking for another excuse to visit the area, why not plan a trip or two to neighbouring beaches such as Hyams, Vincentia, Greenpatch, Long Beach and Honeymoon Bay - no more than 30 minute drive from the house. Make Lennox & Lewis your next destination. After all, at only 100 metres from the beach itself, where else can you go that is just as beautiful and only 2.5 hours outside of Sydney? 1. Any damage to the property will be subject to holding of bond, to the cost of the repairs. 2. Please be considerate of neighbours and keep noise to an acceptable level. 3. We would appreciate if the bins could be placed out for collection each Sunday night. This is not a serviced property. 4. If you are so inclined, we would love our plants to have a drink on those hot days if your staying for an extended period. 5. Most importantly - Enjoy your stay! 2. 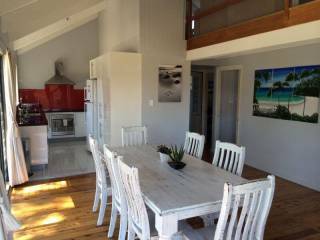 If you have too many friends for our three bedroom delight, we also have our Little Lewis cottage available for booking. There is just enough distance between our two homes to block out any of the loud sleepers! 3. 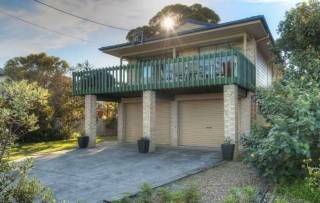 This property is fully self contained and is not a serviced property. You will need to bring all toiletry items and supply your own washing powder, dish detergent, toilet paper and food. 4. We like our neighbours. Lennox & Lewis is a No Schoolies, Bucks or Hens party house. 5. A bond is required before bookings are accepted. We require a credit card to be signed and returned to us before confirmation of the booking. 6. A strict cancellation policy will apply. A bond is required before bookings are accepted. We require a credit card to be signed and returned to us before confirmation of the booking. Callala Beach is a 20 minute drive south east of the main town of Nowra. The one road that leads into Callala Beach will deliver you straight to Lennox Road. Easy.